Novak Djokovic has his sights set on a record seventh Australian Open title after cruising through to the final. But it seems his son is more interested in talking about Spiderman than paying attention to what his Grand Slam champion of a father is up to. 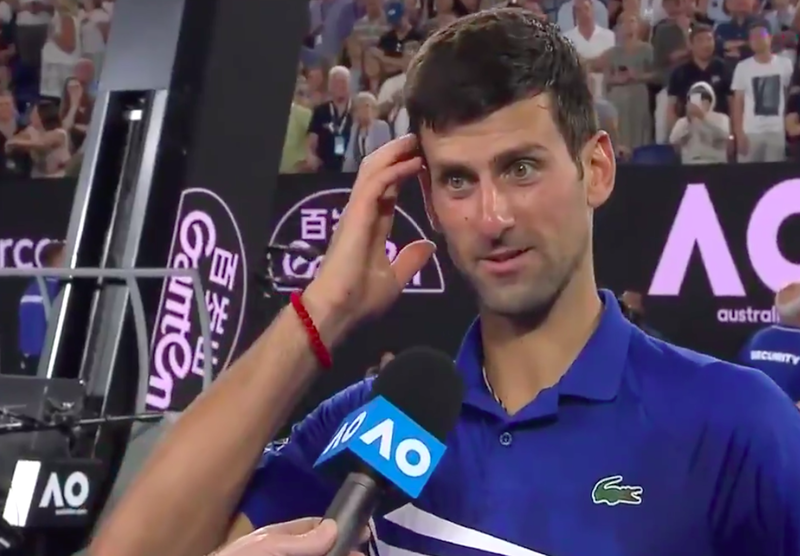 Djokovic spoke to his son 45 minutes before he played Lucas Pouille in the tournament semi-final on Friday, and he wanted to talk about the action hero instead of the match. He did, however, wish him luck, which seemed to work as Djokovic coasted to a straight-sets win.